The Honors College at Appalachian State has narrowed its search for a new dean down to three candidates following the resignation of Leslie Jones in January 2016. The candidates for the position are Alix Fink, David Coleman and Jeff Vahlbusch. Fink and Coleman both visited campus last week and Vahlbusch is slated to visit March 6. Jones, the former dean of the Honors College, resigned last January due to the university’s failure to institutionalize the college. “It is my final attempt to draw the administration to what Appalachian students want for their university: a real Honors College,” Jones said in an email on Jan. 19, which was sent to honors college students and faculty. 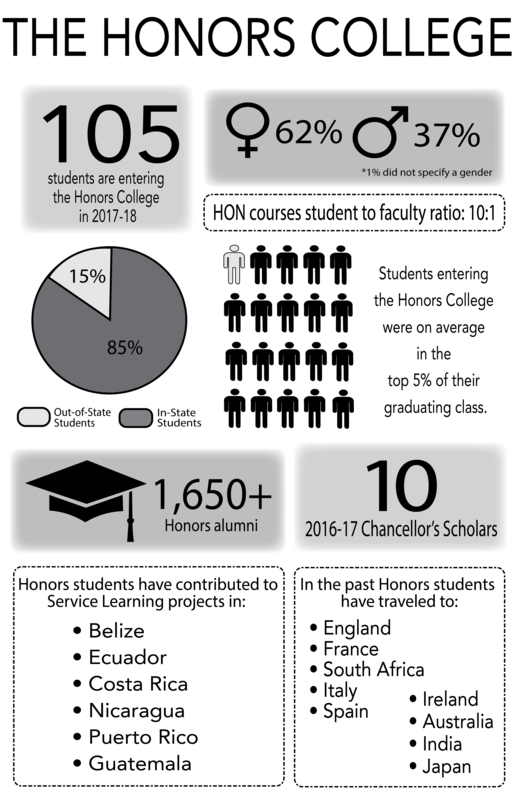 Jones said that the failure to institutionalize the honors college was a “deception” to both current students, prospective students, faculty and the public. On Feb. 20, Coleman visited campus and gave a presentation to honors faculty and students outlining his goals for the department. Coleman began his presentation by stating the values he would be bringing with him as an honors educator and long-time faculty member at Eastern Kentucky University. Coleman is currently director of the honors program at Eastern Kentucky University and is on the awards and grants committee of the National Collegiate Honors Council. Coleman said he was interested in seeing study abroad being more heavily integrated into the Honors College. He said App State is a national leader in international honors education, something he said he considers a “growth area” at his home university of Eastern Kentucky. Coleman also spoke about the importance of diversity on a campus as rural as Appalachian. In the classroom environment, Coleman said the most important traits of a conducive learning experience are engagement, innovation and creativity. He sees the honors classroom as a greenhouse where new ideas can be cultivated. In order for this to happen, Coleman said, the new honors dean should work with other deans, administrators and faculty across campus to enhance the learning experience for students. He spoke about a “culture of shared ownership and contribution,” where faculty and students should never be afraid to approach him about areas of improvement. Fink said honors students should be prepared to act as global citizens during her presentation on Feb. 23 in the Three Top Mountain room of the Plemmons Student Union. She is the Wilma Register Sharp and Marc Boyd Sharp Dean at Cormier Honors College for Citizen Scholars at Longwood University and an associate professor of biology. She said students are lucky to be in such a privileged position, and directed faculty to encourage their students to look outward. Fink continued with the global example to describe the importance of honors education. She encouraged “trans-disciplinary engagement” as her vision of higher education, and said that is the direction in which educators should be pushing their students. “We need our young scholars to be comfortable working in a blended context,” she said. She ended her presentation by emphasizing the importance of honors classrooms intellectually. Vahlbusch, who is the final candidate, is scheduled to visit campus March 6 to discuss his vision for honors education at Appalachian. All three candidates will be evaluated by the honors search committee, which is made up of 11 members. The date of the final decision of honors dean has not yet been announced.